no time for me to put down many words but i didn't want to miss another tuesday without sharing some snaps of tats. 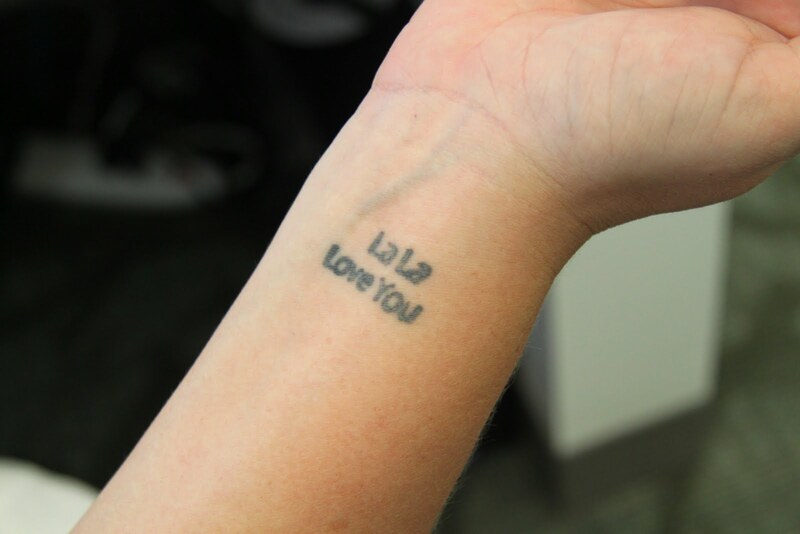 today's tats all feature words written on three women's arms . 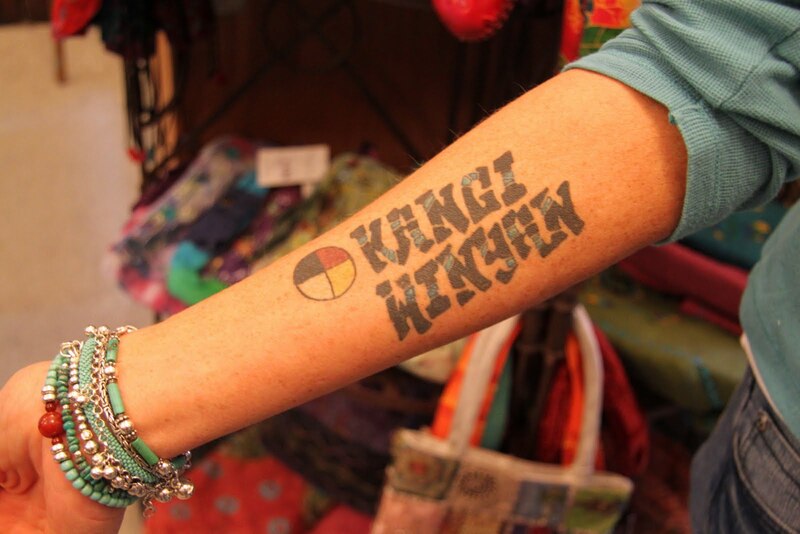 in the top pic the words are actually the sioux name that a friend of mine was given - i was told that the translation for kangi winyan is raven woman. 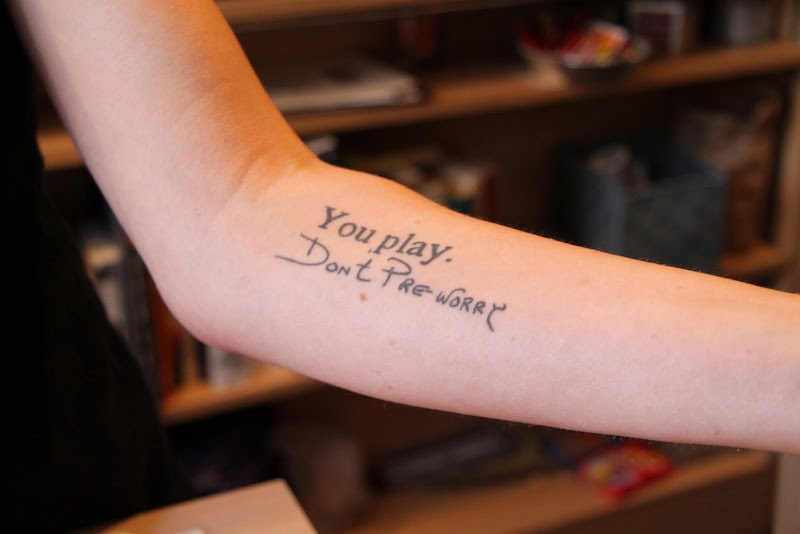 the second snap is aubrey's left arm - we saw the intricate and beautiful body art on aubrey's other arm a couple weeks ago - i also took a snap of this more simply adorned arm - the saying(s) are a tribute her dad - "you play" and "don't pre-worry" are a couple of his favorite expressions. the third snap is of deb, another friend, no explanation needed! toodles, my guests for movie night have arrived -- gotta run!! Yeah, the raven woman tat is really cool and the others are so touching as tributes. Deb's tattoo MUST be a Delphonics reference, right?